I know I've been neglecting my blog recently but I do have good reason, My Mother in law passed away which was a huge shock to us all and as you can imagine looking after Hubby and Kids came first. 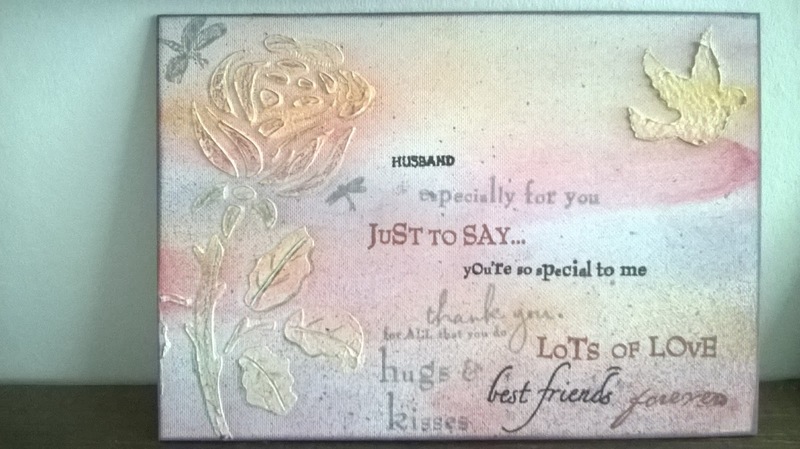 I can't leave you without sharing a picture, I made this wall plaque for my husband for our 12th Anniversary in December. 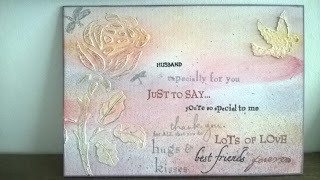 It was made using a watercolor canvas board, ink pads and stamps, stencils and texture paste. I struggled to find a verse that said what I wanted it to so raided my collection and used a selection and stamped them in a range of colours which highlight the different fonts.